Through Sidewalk Detroit’s (a non-profit, community arts presenting organization) use of Eliza Howell Park for various programs and events, it became evident that the non-profit organization wanted to get involved in not only bringing programs to the park but also assist in making and influencing physical improvements. 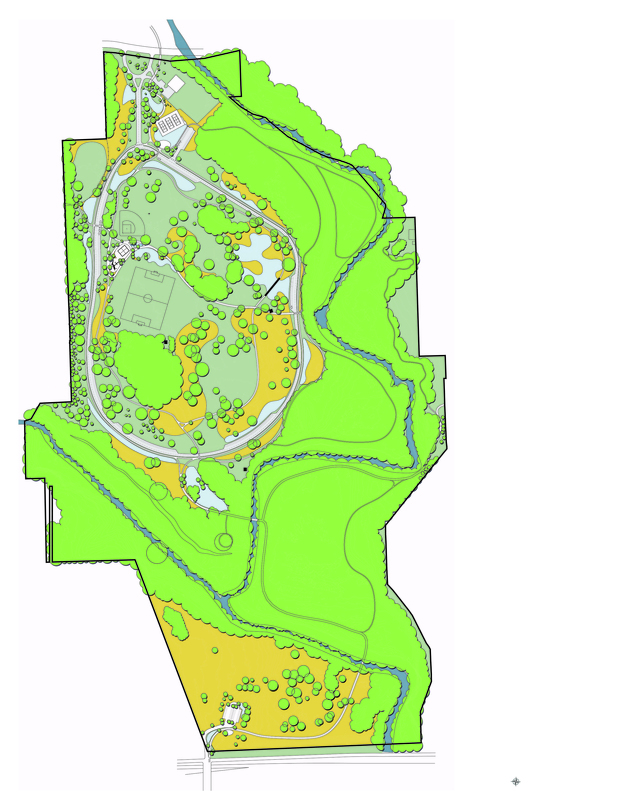 To do so in context and with long-term sustainability in mind, funding was secured to lead the development of a vision and concept plan for Eliza Howell Park. A 250-acre park in Detroit’s northwest Brightmoor neighborhood, Eliza Howell Park is Detroit’s 4th largest park and home to the confluence of two branches of the Rouge River. 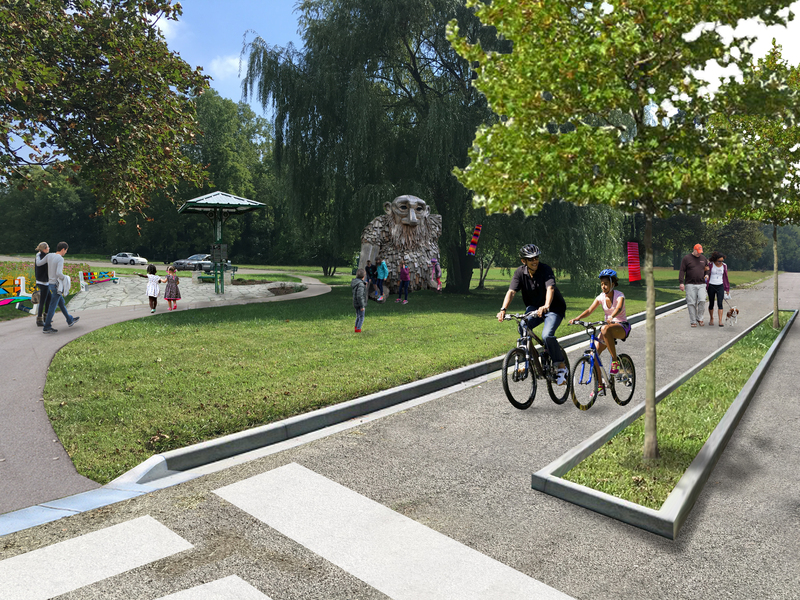 The goal of the plan and vision for Eliza Howell Park was to inform improvements that Sidewalk Detroit can make in the near-term as well as to advocate and influence investment in Eliza Howell Park by the City and other potential funders and organizations. 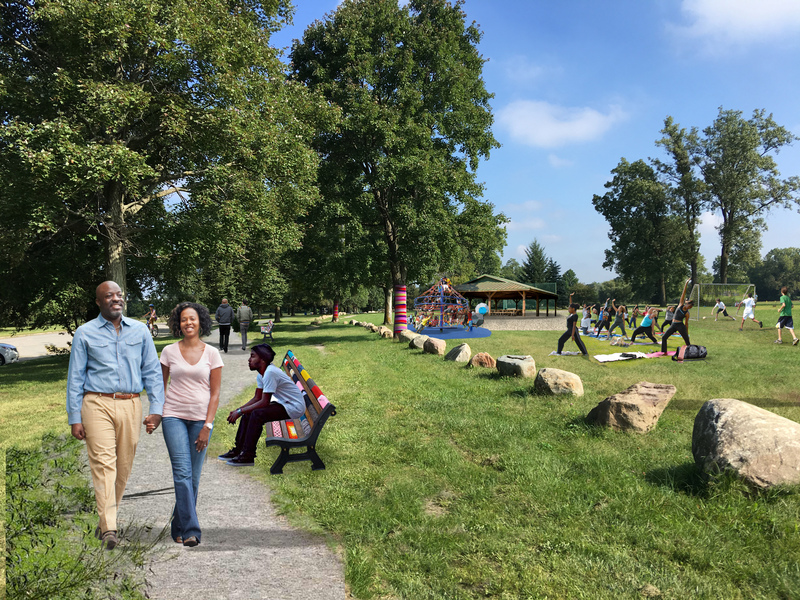 livingLAB worked with the Community Leadership Team and City staff to establish community values and discuss opportunities and priorities for the park. Our team participated in the annual Brightmoor Days event at Eliza Howell Park to share progress on the concept plan and gather input on attendees preferences and dreams for Eliza Howell. 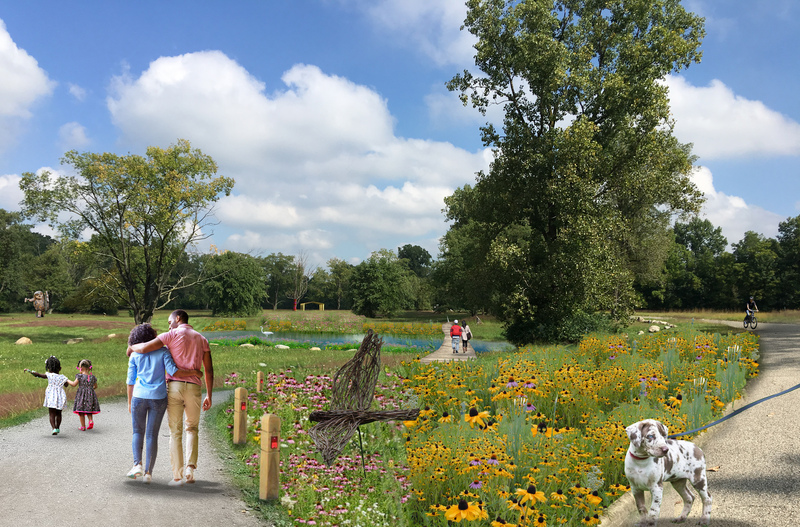 The master plan focuses on infusing art, nature and a character unique to the neighborhood into the park with proposed improvements falling into 1 of 4 buckets: habitat protection + restoration; connectivity; active recreation + wellness; and spaces to gather. 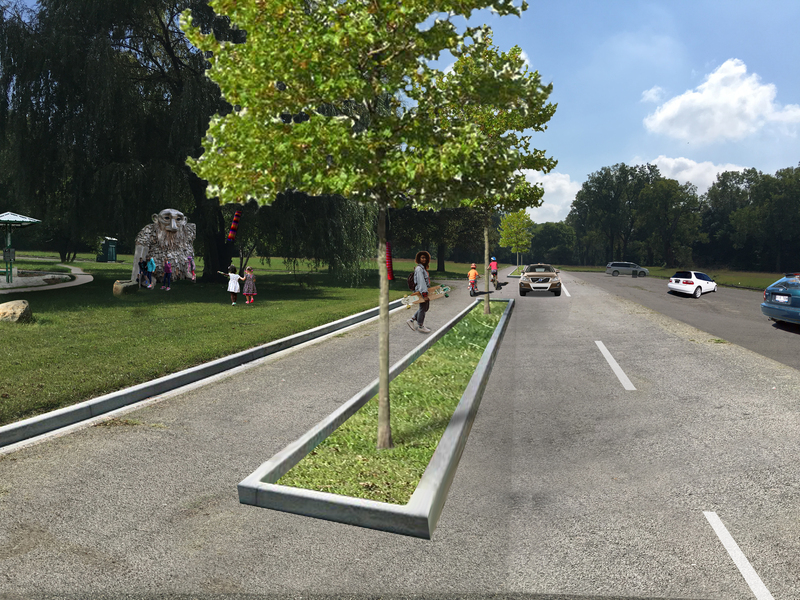 Sidewalk Detroit is using the Master Plan to convene additional partners, advocate for the park, implement seating, signage, trees and art into the park in the near-term, and continue to engage the community as the plan progresses.